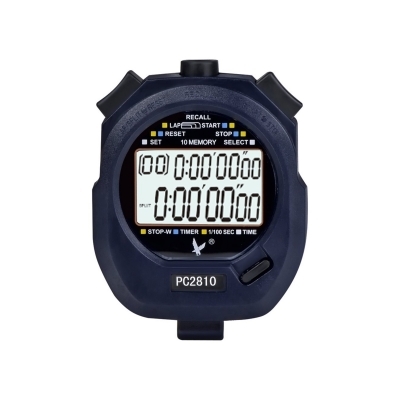 2015 Premium Sport Stopwatch is of good quality and easy to use stopwatch, suitable for athletes, track & field, runners etc. 2-row large display with 10 memories- easy & clear to see. 1/100 second split timing- measure time at an accuracy of one hundredth of a second. Use the split time feature to precisely measure multiple events. Lightweight included Lanyard, and easy to carry and use. Battery included. Multifunction - serve as stopwatch, clock, countdown timer, chronograph & alarm. be popular with most coaches and referees.